Very interested by the research of the 27.01.05 I can say that the base of this rifle is incontestably a rifle "Chassepot" MOD. 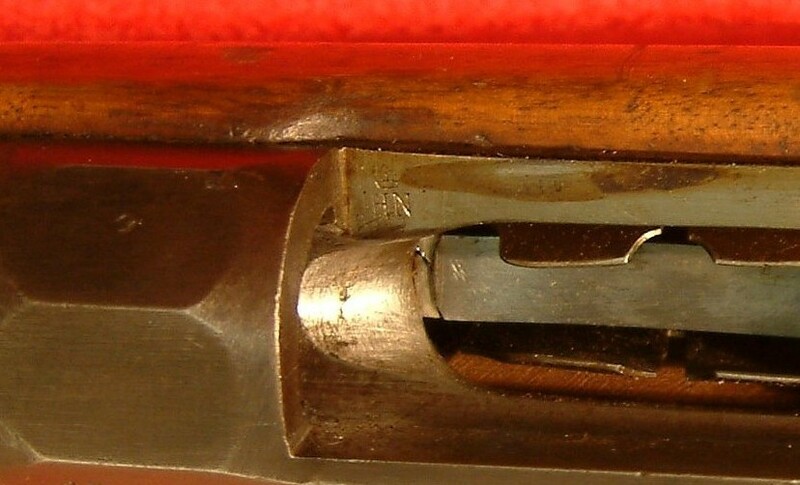 1866, the wood, the breech, the barrel with its rise and typical support of bayonet, the trimmings, it to embouchoir, only the addition of a magazine distinguish it from the model of origin. 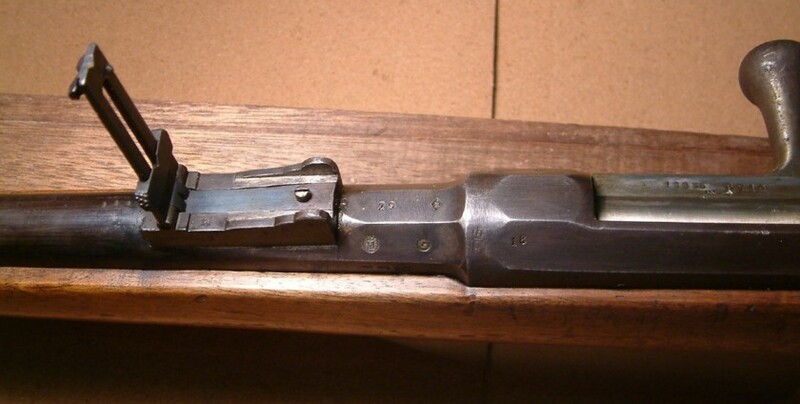 It is a pity which one cannot see the head of breech, but I think that it does not have undergoes transformation in its mode of percussion to needle and that that could be a test to transform Chassepot rifle into repeating rifle by keeping to it combustible cartouche of origin. It could be a question of a transformation made by an unknown arms manufacturer, because I never saw this rifle in any book on the weapons. The GRAS rifle MOD. 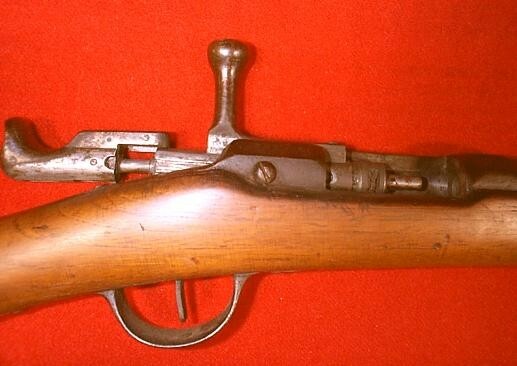 1874 which is an adaptation of a metal cartridge on Chassepot rifle was also a single-barreled gun and besides of many Chassepots were transformed into rifles Gras MOD. 1874 (MOD 1866 M 1874) in all the cases, I am curious to know the history of this rifle; it is the side enthralling of the collection, there are always discoveries. 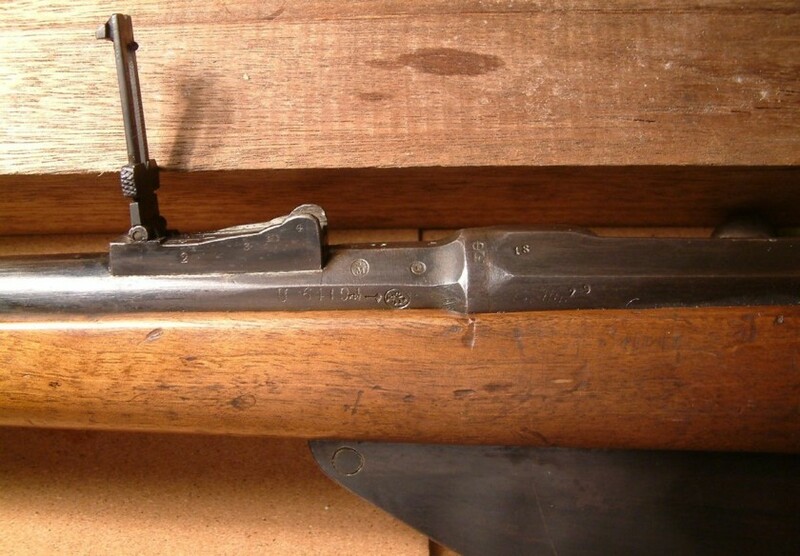 I unfortunately still did not identify this rifle but just for info and following my idea of Chassepot Model 1866 modified, I found in my documentations the fact that with the war of 1870, the Germans recovered a great number of Chassepot such as for example 300.000 at the time of the capitulation of Metz or 66.000 at the time of that of Sedan. 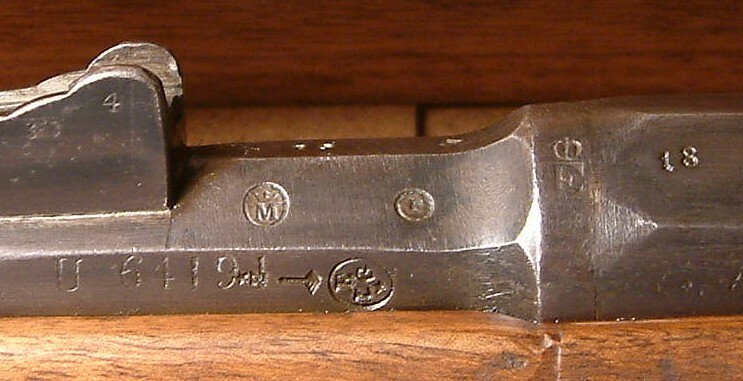 They modified approximately 600.000 in Chassepot rifles of them by shortening them, some were modified to receive to it Mauser cartouche. It is far from known that Chassepot was the object of improvements, transformations and additives on behalf of forty inventors, that is to say a total of 50 deposits at the central Office of deposit of the patents, this between 1868 and 1875. Photo of a real "1866"